The deployment information’s are saved in a .pubxml file in the project. It includes all information’s – besides the password. Visual Studio saves the password somewhere else. 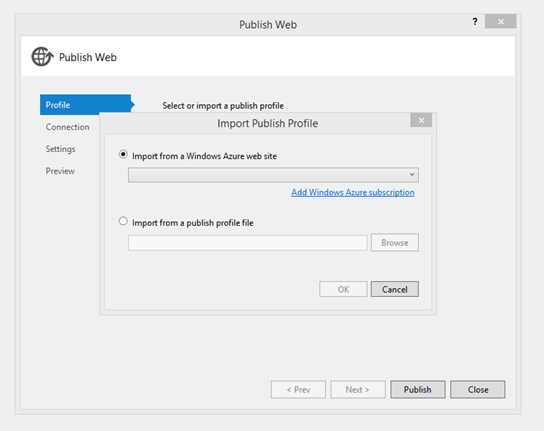 Besides it is not a very clean process to deploy out of Visual Studio it would be a better way to have a build system build the WebDeploy package and publish the project later on a random Azure website or a local IIS. 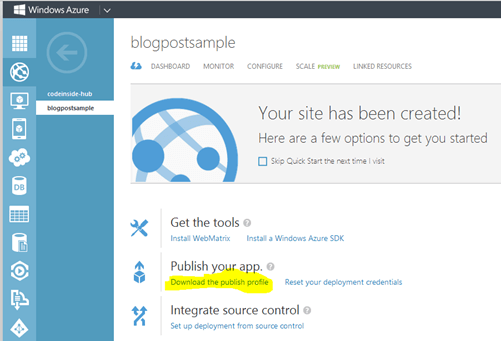 How to publish a WebDeploy Package with an CMD? If you use MSBuild for example to build a WebDeploy Package you will receive a Batch-file beside the main package where you can start the process. If you run the file like this you will see a ReadMe file. Important for Azure Websites: you need a password to deploy! 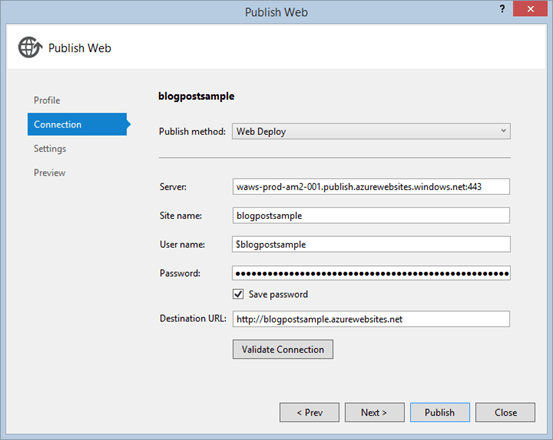 How can I find the WebDeploy password for Azure Websites? The only way I know is to download the Publishing-Profile using the Web-Management-Tool. The WebDeploy password isn’t connected to the FTP/GIT-password which can be set in addition! You have to adapt the URL (/m:) (changes depending on the region), the site, the password (/p:) and the user (/u:). The information’s are available in the publishing-profile. Now you should be able to deploy directly on the Azure Website with the command line without any other tools. I’ve got the solution after reading this blogpost – I’ve already asked the question on Stackoverflow myself.